London Scottish and the SRU have announced that their mutually arrangement to loan players and coaches is over, just weeks before pre-season was due to begin. According to a London Scottish statement it seems that the problem arose when they sought an adjustment of the financial structure when the SRU did not provide the quality or quantity of player they were anticipating, dropping from 14 to 10. This required the club to adjust budgets that were to that point freed up from wages – and put towards improved facilities and accommodation – back to the costs of signing the additional players required. Instead of coming to a deal in which London Scottish appeared ready to compromise and sort out the funding, the SRU have now pulled out altogether. A quote in the Sunday Times in an article by Mark Palmer had the SRU citing concerns with London Scottish’s business model, although it would be surprising if they were vastly different from any other mid level sporting enterprise in this day and age. It’s a big blow for the stream of young Scots hoping to follow in the footsteps of a number of Scottish greats who plied their trade at the exiles, and no word has been announced on the futures of Director of Rugby Sean Lineen and coach Roddy Grant who had been steering the ship well since January. With the public war of words between Exiles chairman Sir David Reid and the SRU now well under way, it is also a big blow to the chances of any such arrangement in future at least until regimes at either club have cooled down or changed personnel. Hopefully some form of compromise can still be reached. Given the SRU’s own issues with debt management and misadventures in the private sector in the past it is understandable that they might baulk if the viability of the deal became uncertain, however the extra clout of BT’s financial sponsorship should surely give them the stability to continue supporting this scheme? It’s also horrible news for any of those players who were all set for the move south who now have much less clarity on where their playing careers go next. If you are a young Scottish player looking for somewhere to develop your professional rugby, the search goes back to the drawing board. Despite a strong exiles structure in place, more and more players may have to act independently and follow in the footsteps of Mark Bennett and Huw Jones to find a more unconventional route into the navy shirt of Scotland. After a period of review and reflection (at the end of the season) the Scottish Rugby Board decided not to deepen the relationship with London Scottish further as the performance environment in place was not sufficiently developed to offer the player pathway we had envisaged. It is disappointing that despite the best efforts of both parties we have been unable to progress the player development pathway as we had both hoped. We will stay close to London Scottish and remain supportive of their strategic ambitions. My opinions are unprintable!! I think the chances of this deal being resurrected in even the medium term are remote in the extreme. The position is that virtually all the senior players have left, there are only 16 confirmed squad members (according to those announced as such) and a coach who was struggling last year with a full strength squad. That to my mind means staying up this coming season will be a huge ask. I don’t think the SRU can expect a Christmas card from south of the border. Extremely confusing decision: not least in terms of timing. How on earth can this have happened, and so late on?! Are the SRU actually trying to get London Scottish relegated this season as they seem to have set out to have torpedoed the club well below the water line with this announcement. This was such a great opportunity to help develop young Scottish talent in a competitive league and yet under the guidance of the SRU. This can only have been good for Scottish Rugby and London Scottish Rugby , how has it been screwed up so quickly? How is the performance level of Championship rugby now not good enough? And have the financial arrangements changed that dramatically in the last five months, really?! I do hope there was some genuine sound cause for making such a late and potentially damaging decision rather than this being the result of a clash of egos across the table, sadly I suspect the latter. I suspect you are correct about egos. I will try to boil things down to the issues as I see them. (1) 14 were to be seconded (tacitly with one or two more senior guys, like back row), this came down to 10 (none more senior), leaving a squad shortfall. (2) Training facilities- Richmond got promoted and are also in the Championship, I believe they have first call, so LS looked at Lensbury (nearby, international quality facilities) with extra cost. LS wanted SRU to take some of the hit, SRU said no, LS eventually backed off, so no excuse as a deal breaker. (Incidentally both parties ought to have been aware of the possibility of Richmond coming up when the deal was done, they were front runners in Nat 1). (3) Other issues not in the public domain. Conjecture. (4) The SRU statement about “player development pathway” is the biggest load of guff coming out of Murrayfield in a VERY long time and that is saying something. English Chamionship is far nearer Pro 12 than Scottish Premiership- just hark back to Scottish participation in the B & I Cup. I am sure there is more to this than meets the eye (see 3 above), but this is quite disgraceful on the face of it. nothing to do with Richmond being promoted which only happened last month; the decision to move training to Lensbury and jointly fund this, was taken months ago. SRU identified it as a base also for Scotland 7s. The performance environment the SRU now say not adequate is one they selected …! indeed the partnership was an SRU initiative! when SRU cut 4 players total and all 5 senior players, LS had to find the money to fill a sizable hole in the squad. Not surprisingly they firstly asked SRU to replace the missing bodies with the necessary cash but when that wasn’t forthcoming, backed off and agreed to raise it themselves. Thanks, wasn’t aware Lensbury was looked at, at the outset. No senior players would have in itself just about made it unviable. Championship is unforgiving, good place to find out who has steel and not (Horne & Fergusson, plenty), but old heads also needed. How very disappointing, and the first serious strategic mistake that the SRU have made for a while. The reasons given have a strong odour of bullsh** about them, but we’ll never get to the real reasons I’m sure. “Deciding not to deepen the relationship with London Scottish further as the performance environment in place was not sufficiently developed to offer the player pathway envisaged”. A joke surely? Shabby behaviour from SRU when you consider previous public statements. London Scottish have every right to be angry. Any chance they are saving the money for a 3rd pro team? I have just seen a flotilla of pigs fly past the window. One Step forwards. Two Steps back. Standard Scottish rugby. I’ve updated the post with the SRU statement and a few snippets from LS’s original one. once again, all the good work done on the pitch by players (7s/glasgow/etc) is undone entirely by those higher up. Its almost like they just don’t understand how to do things even remotely the right way. Wonder if Edinburgh move to Myreside has financial implications affecting London Scottish deal? I also have a suspicion ( but no actual factual knowledge ) that the 7s were in line for a cut but the win in London has meant a very rapid re-think. That would not surprise me in the slightest. As I recall last year the choice was sevens or Scott J. Somehow the SRU managed both. Has anyone worked out what constructive input SJ has, and whether he is value for money? Unlikely, SRU would need to be paying an exorbitant sum for that to be the case. SRU backed away from deals with LS in 1999, 2008 and now 2016. As the governing body of Scottish rugby, one has to ask if it is fit for purpose. Clear statements of strategic intent need to be made by the CEO Mark Dodson and at the very least an explanation beyond the management speak of “performance pathways” given. The account given by LS is reasonable and provides a clear chronology. The SRU needs to respond in kind. I agree with all the posts above. The SRU have resorted to type after what has been a period of positivity with on-field performances improving, the academies up and running and the sponsorship with BT. Let’s hope this is an aberration rather than a return to the ways of the past. Even if the deal did not look 100% for the SRU, surely it’s better to work with it at this late stage and give almost a full team exposure to a high standard of rugby rather than pull the plug and destroy the goodwill and relationship with LS. Shambles…. Interesting comments from Alex Grove on the bbc sport website. Suggests he can see the SRU’s point of view because London Scottish were releasing a lot of senior players. Perhaps SRU were concerned there would be an over-reliance on junior players which would make them uncompetitive? I think they released them because (a) they were a bit past their best (Mark Bright, Oli Grove and Adam Kwasnicki) and (b) under the initial agreement there were to be 14 imports including 5 seniors. LS did their part by re-signing Lydon and Williams and getting Jamie Stevenson back from Wasps. Had the SRU stuck to their side of the bargain I think LS would have had a very competitive squad. I read his article. SRU have come out of this very poorly IMHO. I believe that LS were expecting some senior players from the SRU e.g. Rory Hughes. It is not viable to accommodate and blood U20s from Scotland when they can be loaned from the London based premiership academies for little to nothing. Apart from the senior player issue, the question of who to second was key. This year George Horne and Robbie Fergusson came down, rolled their sleeves up and stepped up to the mark. RF is signed for next season. To sort out which players would benefit (a two way street) Lineen was ideally placed. The concept was great, SRU lost their nerve. Mike, to whom is the SRU accountable? One issue is that LS may not be a more competative outfit than our Premiership clubs in Scotland. However I believe it is a good start position to grow from . Wondering if when it gets down to it the sponsors may have a say in how the money is spent. RFU championship is a much higher level than the BT premiership. You think BT didn’t like the deal? Interesting…. The lads that went from the premiership to LS did not consider it a higher standard. . If you view the Ayr Heriots final on , their opinion could be justifiable. An interesting perspective: particularly the number of Scots playing in the championship at no cost to the SRU. It is worth noting, however, that LS is the only RFU championship side that is governed by the SRU and, therefore, must pose strategic interest. LS are the only championship side that could have given more than a token one or two, yes there are plenty guys doing well in the Championship, but only LS could have taken on 14, which was the original deal. LS by the way are not governed by the SRU. Almost as interestingly, the Hootsmon covered the story, as usual people commented, and all of a sudden the comments were wiped. There is a bit of “well I never” on adjacent posts. Have the SRU something to be truly ashamed of, not in letting LS down – that goes without saying, but in putting pressure on the Hootsmon? What FPC is referring to is that LS are members of the SRU as they are the RFU. 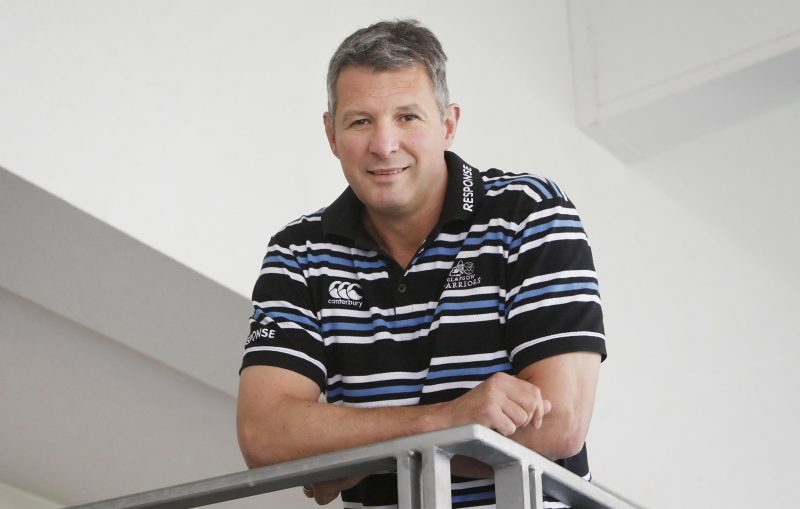 Of course the SRU put pressure on the Scotsman, it is called PR! Anyway, David Barnes makes a good point. The SRU don’t need another championship club to take 14 players, there are 11 other clubs who could each take one or two. As long as you are within the rules you’re welcome here! Although sometimes comments do disappear it is usually just the junk filter being overzealous and we will restore if legit. This is 1 club playing in a different league where there is huge disparities in budget and quality between the teams. I understand the excitement about giving opportunities, but I don’t see any of our 6 nations rivals using the championship to blood their future test stars in this way – certainly not by taking a team over. I don’t think that what was proposed was the greatest idea, and so at least the SRU have seen sense. We should be looking to strengthen the domestic game, not improve other leagues elsewhere. I get the point about whether our leagues are up to standard, but we don’t improve them or the spectator experience by exporting our talent at early stages in their careers. The idea of reducing the BT premiership to 6 teams is a good one. You are welcome to your opinion -it’s clearly not mine. The issue is that if the SRU did not intend to go ahead they should have said so a great deal earlier. If it was purely rugby they had Lineen in place to say so. The season finished some while ago. It’s the last minute nature of the withdrawal, rather than the doing so that grates. As for comments about English Championship not being much stronger than Premiership, I refer you folk to the rather unsuccessful forays into the B & I cup, even with sides bolstered by a few pro’s. In my view an opportunity missed, it’s over now, LS have to pick the pieces up, try to construct a squad and fight to stay up. I look forward to the SRU improving the playing opportunities for the youngsters and fringe players. Let’s hope the under 20’s kick that off with a great World Cup showing. I am just trying to see both sides of the story. What puzzles me is why the case the SRU put forward is so flimsy and so brief. It does not look like we shall get an answer. Unless I have missed something, either a backroom deal is being done, in which case the SRU is very shrewd, or the SRU is simply unaccountable. Most probably, the SRU have moved on. In that event, the most realistic option before them is making the BT premiership more competitive (as it is clearly well below the standard of the RFU championship). How that is done is another matter. Concentrating the talent by reducing the number of teams seems sensible, if not difficult to achieve. FPC, for sure there will not be a straight answer. I do not believe for one minute it is financial. Neither party’s has changed one whit since the agreement. Therefore, rugby. I don’t believe for one minute that Lineen would allow LS to offload most of their squad with this in the offing. So – who else? Not Dodson, he knows eff all about rugby. That leaves us with the master of mayhem – Scott Johnson. I personally would like to put the thumbscrews on him. Going back to Angus’s point below, there are pathways to develop the young guys, even without shaking up the Premiership. Just wants a bit of vision. Sadly, we are lacking in visionaries. Regardless of the decision being right or wrong I think the timing is very bad. Did something external trigger it and the pie had to b reshaped ? This confuses me because didn’t the deal just start this season and the club finished 8 whereas last year without it they finished 3rd. How many players who started their rugby at LS have been capped for 20s or full international in last 10 years? I mean if it’s good enough for NZ (ITM Cup) SA (Currie Cup) and now Aus (ARC) then why not Scotland?